Lu Huang and Mason Lee in "Suburban Birds." Courtesy of Cinema Guild. Qiu Sheng's smashing directorial debut, Suburban Birds, opens with a shot peering through the viewfinder of a surveyor's instrument. It scans the landscape as if searching for something, scanning, probing, wondering. It's a visual metaphor that Qiu returns to throughout the film, as we peer into the lives of characters through various lenses, surveying a landscape at once alien and hauntingly familiar. 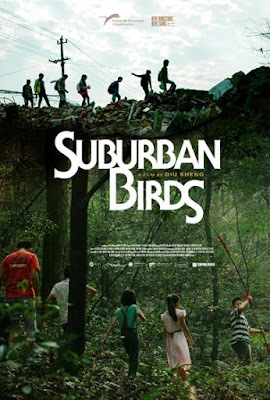 Suburban Birds often resembles the specific political predilections of Jia Zhangke as filtered through the mystical musings of Apichatpong Weerasethakul, setting a metaphoric exploration of life in modern China amid the literal shifting grounds of a society in flux. Our guide is Hao (Mason Lee), a young engineer tasked with surveying land around a skyscraper that has ominously tilted. Hao begins to suspect that underground tunnels are to blame for the building's mysterious shift, but his supervisors reject the idea, chalking his hypothesis up to his youth and inexperience. One day, during a routine survey, Hao wanders into an elementary school and discovers a diary written by one of the students. In its pages he discovers a whole new world through the eyes of a young boy also named Hao (Zihan Gong). As young Hao's story of carefree childhood adventures unfolds through the pages of his diary, older Hao begins to see troubling parallels to his own life. Young Hao's friends are mysteriously disappearing, eerily presaging an end to national innocence and a troubling conclusion to Hao's own story as the two lives become inexorably intertwined to the point that they're no longer distinguishable from each other. Qiu enigmatically blends the stories of the two Haos almost imperceptibly, employing a kind of magical realism to create a sense of mystery and possibility. Suburban Birds is at once a critique of the increasing urbanization of modern China and a tale of suburban ennui in a time of great uncertainty. At first, the two Haos' stories seem completely separate, a strange interruption to the story we had settled into, breaking the films into parallel narratives that don't seem connected. Is it a flashback, or a kind of disruption in time? Are the stories connected, or are their similarities coincidental? Qiu never answers these questions, leaving them almost bafflingly cryptic. And yet, that's what makes Suburban Birds so beguiling. The film most resembles Weerasethakul in its back half, specifically Tropical Malady (2005), as it shifts gears completely and the film we're watching is no longer the film we thought it was. It is a film that peers through many layers, carefully parsing the lenses through which we view our own lives. Through time and memory, experience and written anecdote, Suburban Birds explores the tenuous connections between life as it is lived and life as we imagine it to be. Life throws us curveballs we can't understand or explain, it leaves ideas unfinished, t's uncrossed, i's undotted. When even the very ground on which we plant our feet seems to be moving beneath us, on what can we base our hopes and dreams? It is here where Qiu most resembles Jia Zhangke, perhaps the foremost chronicler of technology's sometimes destructive advance in modern China, and yet what Qiu seems to be going for here seems somehow more ephemeral and ghostly, less concretely political and more philosophical in nature. It leaves us with far more questions than answers, a portrait of an unstable world undone by its own lack of foresight, where truths that once were buried come raging back to wreck havoc on the present. 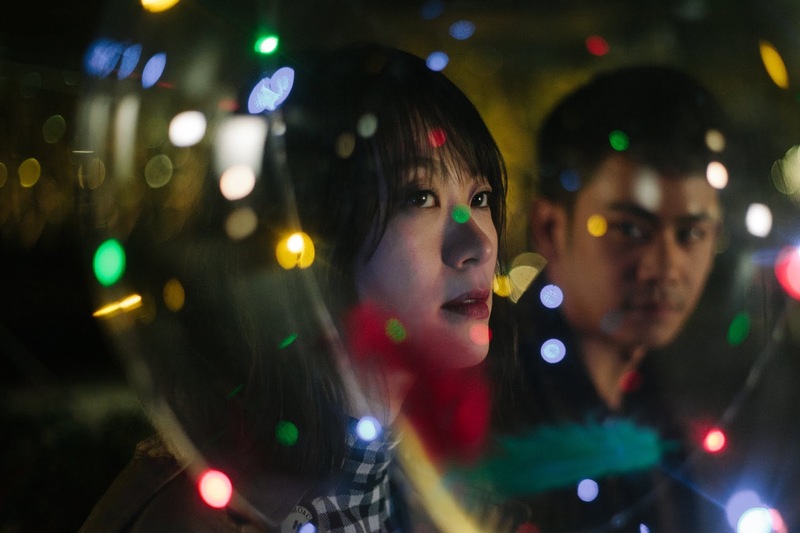 It's a remarkable debut for Qiu, a mature and throughly mesmerizing film that lingers like wisps of haunted memory on a hazy summer afternoon. 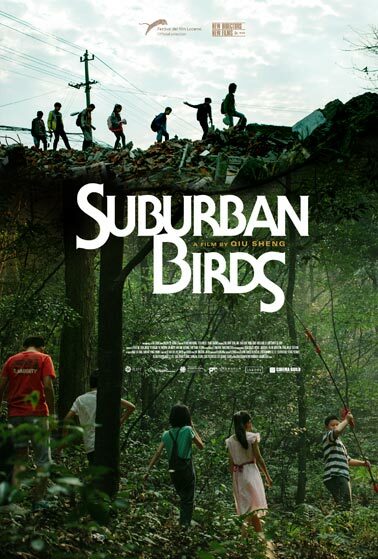 SUBURBAN BIRDS | Directed by Qiu Sheng | Stars Mason Lee, Zihan Gong, Lu Huang, Jing Deng | Not Rated | In Mandarin w/English subtitles | Now playing in select theaters.